Bid Per 7 Night Stay in a 1 or 2 Bedroom Suite at Wyndham Resort at Fairfield Bay, Arkansas! 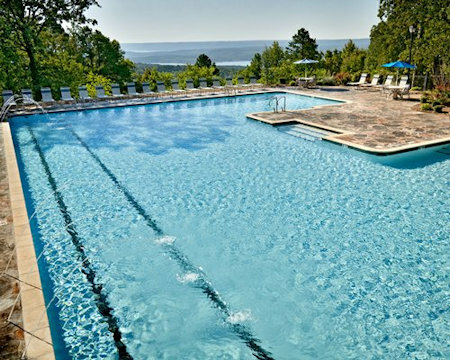 Wyndham Resort at Fairfield Bay, Arkansas - Bid on a 7 Night Stay in a 1 or 2 Bedroom Suite! 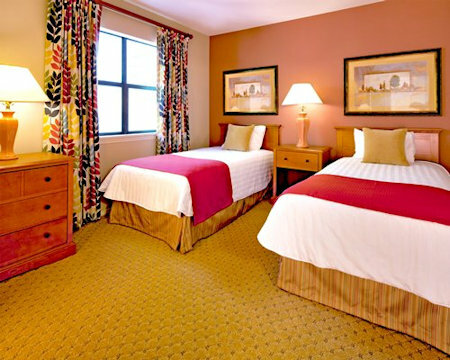 Enjoy 7 Nights in a 1 or 2 Bedroom Suite at Wyndham Resort in Fairfield Bay, Arkansas! Wyndham Resort at Fairfield Bay is a delight for golf- and nature-lovers alike. It is located on 40,000-acre Greer’s Ferry Lake, featuring a well-kept marina. Visitors who love the outdoors can hike, fish, boat, bike, and water-ski on this sprawling lakeside property. 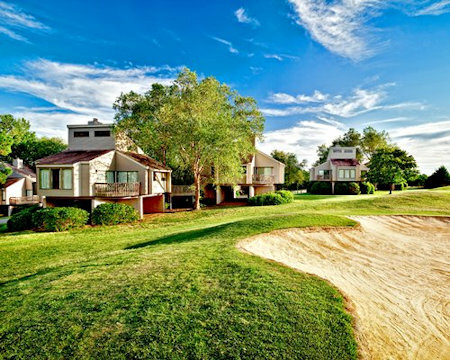 Golf lovers will find two fantastic golf courses and mini-golf course on-premises. 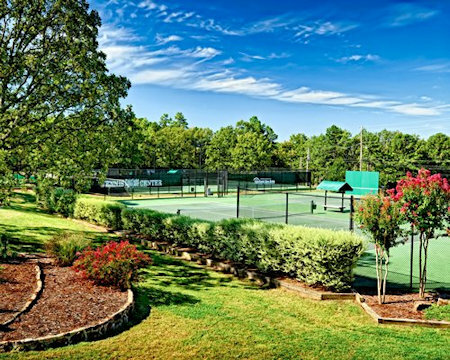 Additional amenities include four outdoor swimming pools, four children’s pools, indoor swimming pool, lakeside beach, ten tennis courts, basketball court, and picnic/BBQ area. At the end of the day, pamper yourself with massage services, hot tub, health club, or dinner at one of the three great restaurants! The beautiful Ozark Mountains of central North America beckon outdoorsmen and nature lovers from all over the world. Wyndham Resort at Fairfield Bay is located at the foothills of these mountains. Only 75 miles north of Little Rock, Arkansas, this award-winning resort offers a huge helping of southern culture, hospitality, and fantastic scenery. A nearby mountain lake offers boating, fishing, parasailing, and water skiing in the mild summer months. Shopping and some nightlife are 20 miles away. Area attractions include Branson, The Ozark Folk Center, and Blanchard Springs. This resort is truly a place to get lost in the beauty of nature! Make the magnificent Ozark Mountains of Arkansas your home away from home. 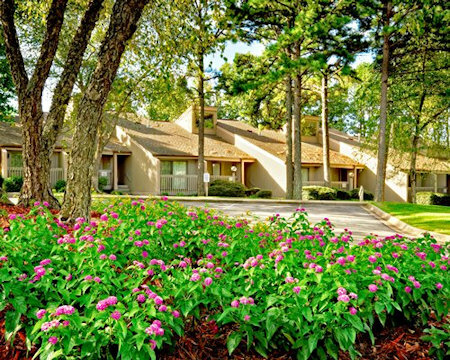 The well-equipped apartments feature full kitchens with microwave, dishwasher, and laundry. Cozy up to the fireplace and enjoy air-conditioning in the summer. Select units include a hot tub/whirlpool. This is the perfect place for an active family vacation with the kids! 1 Bedroom Suite: (Maximum occupancy 4) With a Full or Partial Kitchen. 2 Bedroom Suite: Two bedroom units (maximum occupancy 6) have 2 baths, 1 queen bed, and either 1 double bed and a sleep sofa with Full Kitchen. *Resort has 2 and 3 level buildings and no elevator access. A credit card deposit and photo Id showing you are at least 21 are required at check-in. Units are non smoking. Pets are not allowed.